Kentucky transfer Tai Wynyard has officially found a destination. The 6-foot-10 center announced on Instagram tonight that he would be transferring to Santa Clara to finish out his college eligibility. Wynyard sat out starting in January following a back injury, and he was later suspended for a violation of team rules to close out the season. 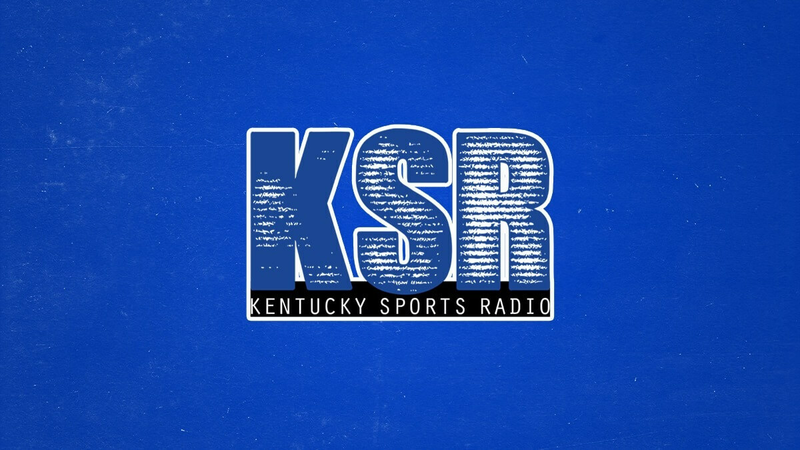 Though the University of Kentucky couldn’t provide specific details, KSR sources indicate Wynyard had an armed bodyguard at various frat parties and events on or around campus. He announced his transfer from the school on April 2. In two seasons at Kentucky, Wynyard totaled 19 points and 27 rebounds in 23 games. he will definitely get playing time ! Good luck big guy! Said to see the Big Guy move on, but good for him. I wish him success in that sunny weather. Also, for Cal, nice to keep it classy and great to have another scholly the way he’s recruiting of late. Lots of drunk idiots want to try to prove they can fight a 6’10” 270lb guy. It’s the same reason heavyweight boxers have bodyguards. Is it illegal to have a bodyguard? No but it’s not a good look for said bodyguard to be flashing pistols and threatning coeds and sorority date parties. And if you are going to have a “bodyguard” get a real one… not some burnout charged with smacking women around.